Before your things arrive at your new home, you should give your house a good cleaning to remove dirt and germs left behind from the previous owners. Cleaning before you move is always ideal because it allows you to clean every nook and cranny without a bunch of boxes being in the way. This checklist will help you prioritize you cleaning, so when move-in day arrives, you can focus on unpacking and making your new space feel like home. Cleaning the kitchen can be a big job. You have to make sure that every surface is properly cleaned and disinfected. Having a nice clean kitchen before you move in will make cooking your first family dinner a breeze. The bathroom is one of the dirtiest and most used places in a home, so it is essential that you disinfect it properly. Scrub your bathroom down with a good disinfectant cleaner and then follow up with an antibacterial spray. 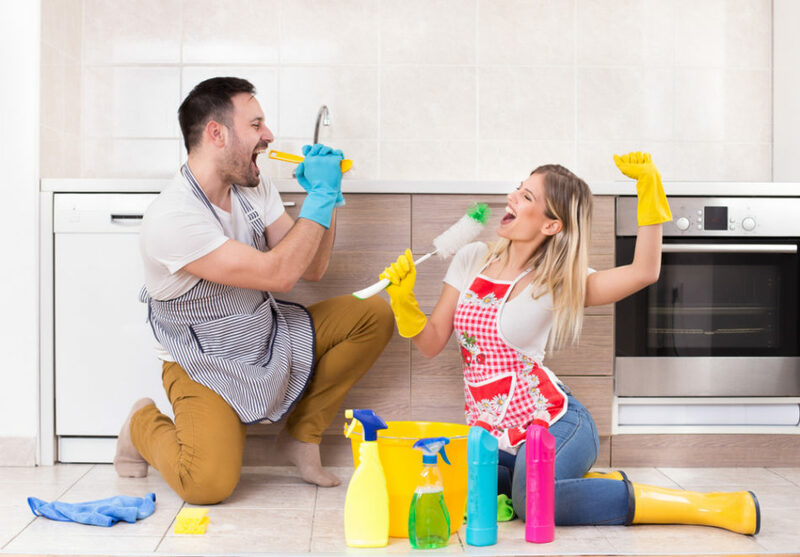 Giving the other living spaces in your home a deep cleaning will make it easier to maintain them once you’ve unpacked. Here are are a few items you’ll want to take care of before you move in. If fulfilling this list seems like a tall order before moving day, don’t worry — Busy Bee Cleaning Co. has got you back. We provide deep cleaning maid services in Exton, PA, and the surrounding areas. Our cleaning specialists are always professional and friendly. If you are in need of a professional team of house cleaners near Malvern, PA, give us a call today at 610-624-1650.